It was on the break of a new morn in a somewhat deserted September that I took feet to the corridors of Oguaa Hall after I had undergone the rigorous necessities demanded of one to be admitted into this robust institution, the University of Cape Coast, Ghana. Indeed it was sad and disheartening to have been admitted into an institution I had bitten the edge of my tongue of ever attending. It was a heartbreaking experience— an experimental exposè of highest regret for the first time. This sad situation was aggrieved in its pod by the fact that I was to be affiliated to the ancient-pitied hall, Oguaa. Yes, a hall that has tasted the rafters teeth and been crooned as a demon amongst the frenzied of its other standings. I thought it could have been a different hall. Being a native of Cape Coast and a direct descendant of the great progenitor, John King Aggrey I of blessed memory; whose inspiration through timeless epoch of proto-Ghana history catapulted the rebirth of political activism and consciousness in pre-Ghana era, the Fante Confederation. I have thus experienced this fraternity of University education in Cape Coast through practically reading unpublished documents and hearing oratures from the oldest library left in our house and that of the elderly. I have thus witnessed many moments in the University of Cape Coast even prior to being admitted as a student here. Now to save matters, let’s buckle our minds to the reason for this whole spread-head attestation. It remains a fact; one of an undeniable primordial establishment to have made Oguaa Hall the premier hall of its caliber since the establishment of the University of Cape Coast as prologued by the eminent African of the millennium, the indomitable Pan-Africanist Osagyefo Dr. Kwame Nkrumah in 1962. As the mother of all halls in this institution, it has birthed to light other halls which have jagged it as though they were foraged before her. Many affiliates of other halls, students for that matter, have mocked, still keep at mockery, Oguaa hall with leveraged impudence. This impudence and gross disrespect which have lasted and etched in ruins throughout the memorial play-score of the university’s history on Oguaa hall and its affiliates, and which is still in perpetual display, stems from the fact that Oguaa hall lacked the requisite visionary student leadership of its kind. The type of leadership that is ready, willing and could steer the affairs of students and the hall to the feat it deserves. I have lived in the hall and still hold as a place I would wish to live for the rest of my four year university education. The facts to be laid in the preceding exoduses. 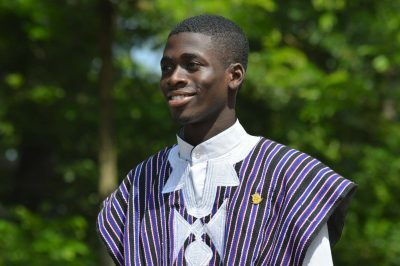 It was the era of Mr. Albert Martey as President of Oguaa that countless worries rogued the hall. Over-population was top of the list. Innumerable challenges that could take an audacious heart and mind of a leader to find solutions. As the president of the hall and a friend of mine, he was tagged an under-dog, but like all leadership acquitters; he did all he could and within his abilities to remedy the situation. By the time his leadership came to an end, he was able to do his best as predestined. He couched his achievement in this short statement during last year’s grand durbar of the hall’s celebration, “If it were height, I wouldn’t have had this opportunity to serve students of this hall; by leadership in Oguaa hall I mean to render the best of service to the people who matter to us as leaders.” That statement he made in his final address set enough filament of ripples in the river of my eyes. Indeed, he whom praise is due must be given to. I say, kudos. At the time when Mr. Martey was leaving office as the president of Oguaa hall in 2015, he had made two flamboyant achievements; the acquisition of the hall’s plant and the operation of the hybrid library. Yes, he did well as president and a human in it right writing, yet deep down the souls of majority of hall affiliates, there was a lot more he could have done to catapult and place the prospects of students in good light. I knew from the numerous surveys conducted (personally); critical observations made that a host of other things were missing. The interconnected link of leadership, fragrance and charm that could facelift the hall and project the pride of affiliates to other hall affiliates. The spell that could place the hall in an enviable position amongst its compatriots. Barely six months since the election of Dennis A Larbi-Ampofo as President of Oguaa hall, adding the vacation break, one can without microscopic support be overwhelmed with the achievements chalked thus far. The troubles of the writings I would take it upon myself to letter as this epistle goes. However, since Dennis made it an intention to contest for the SRC presidency 2016/2017, there have been speculations and damming castigations fallaciously cooked to mutilate the gallant achievements attained under his watch as Oguaa hall president. Such speculations have involved credulous mind-stringed allegations which are unfounded and notoriously nocturnal to the tumbles of facade. One must note that in mirroring the myriad problems of Oguaa hall and its development trend, it is important to look no further than the fundamental fraternity of Oguaa (Cape Coast) itself. But before anything else, and the perusal of all concerned students who matter, these are the unprecedented achievements of the Dennis led administration in Oguaa Hall and still counting. Sit, relax and wear your unbiased introspective thinking caps to these plaudits of achievements. ••| The stocking of the Hall’s Library with Past Questions on all courses to prevent hallers from going all the way to the main library and departmental libraries for past questions. ••| Renovation of ALOVI FM. Renovating the in-house radio which included full rewiring of the whole system to ensure better performance. To this, it has cushioned the spread of information as major announcements and other worthwhile news-fos’ are leveraged through this medium. ••| Fixing of Cooking racks for all the rooms from G-block to A-block. There came a time when due to the lack of balconies in the hall students had to cook in the room they sleep. With this initiative, it has risen with the hope of curbing the problem of cooking in the rooms. ••| Solution To Water Crisis in the Hall. There has been the purchase of a 10 hsp pumping machine to replace the old one; further changing of old pipes. All these were done to enhance the performance of the borehole that serves Oguaa hall. As a Cape Coaster, the problem of water crisis in Cape Coast and its catchment areas has been a thing of time’s read. It happens as though it is an omen hanged on the neck of the town. 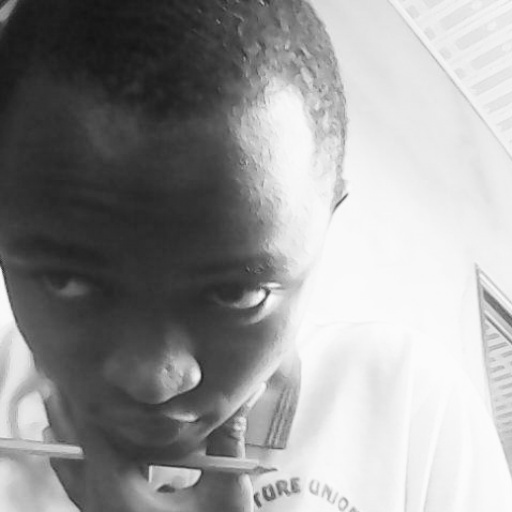 Second cycle institutions, tertiary institutions as well as town-folk undergo this dreaded seasonal maladroit. I experienced the worst of this situation last year as a hall resident. But for the Dennis-led administration to salvage this situation plus buttress it with its frequenting water flow in the bathrooms and washrooms is a massive bolster. ••| Painting Project. Just as promised, considering the financial obligation of this project, it is in gradual phase. One does not need a survived luck-laden man from a holocaust to tell how bad the state of the hall’s walls were. With the phase deployment of painting the hall, grandly, most portions of the hall received a facelift, a touch of elegance to it. Had it not been for the Dennis-led administration, I never knew Oguaa hall could be this grandiose. The painting project although not completed, but any resident of the hall and frequenters can attest to the fact that there is adequate progress regarding this project. ••| Y3 Pra Pra. This is an innovative policy which looks at a monthly general clean up exercise in the hall. This is the first time I am witnessing any initiative of this worth targetted at curbing sanitation woes in the hall. No wonder the hall is now devoid of the previous mountainous health problems plaguing it. ••| TEWU works during Weekends. Through efficacious dialogue and negotiations with hall management, cleaners now come during the weekend to work. It is now about just coming to work, but to work as to the match that their services to the hall is as potent as a bee’s sting. This is sustainable through the award scheme which is to honour diligence, hardwork and commitment on the part of workers. ••| Procument of new set Entertainment Equipment. Through diverse requests and matched take, new set of machines have been acquired to aid entertainment and other worthful programmes in the hall. ••| Life Skill Empowerment Programme. The Dennis-led administration is not only encouraged to continually propound credible ideas but to tailor such ideas to merit concrete goals. This programme is developed to help train young women of the hall in simple skills; soap making, bead making, decorations and the like. The purpose, to give very basic lifelong empowering skills which would be effectual in the future. ••| Purchase of new set of Cadet Uniforms. What is the pride of joining a cadet corps when its uniform, a necessity of that measure, is to be borrowed always simply because they don’t have? To help remedy the every day borrowing of the cadet uniforms, a new set of cadet uniforms were procured in the end part of the previous semester to help the men in uniform. A thing the cadet is proud of today! ••| Massive purchase of Sports Logistics. Considering the stress our sports men and women had to go through last year, we have fully purchased items like jerseys, boots, shin guards, footballs, basketballs, volleyball net, tennis rackets, badminton and its rackets among others. The purpose, to help better the lot of our noble sportsmen and women who keep sacrificing for the hall. ••| Equipping of the hall’s INFIRMARY. An infirmary without equipment is consequential to a body without blood. To date, the Dennis led administration and abled infirmarian, have procured drugs, sphygmomanometer, thermometers, etc, to aid healthcare in the hall. Complaints logged to the infirmary have reduced drastically. ••| Refurbishment and installation of sound proof windows at the E-Block Library. To reduce the intensity of the sound that gets into the library, sliding doors and windows which will ensure noise is reduced is being fixed. This has augmented the library into a better state now as compared to previous years. ••| Bua Wo Nua Fund (BWN). This is the first hall based fund in Ghana purposed to supporting brilliant but needy students of Oguaa hall. We might not be able to pay for everyone’s school fees but at least together we can support our colleagues. This is one initiative which wets my soul. Such an initiative can only be thought out by a leader whose dream is to see that the people he is made to serve realise their educational potentials to the fullest. There are a lot more undertaken projects which have been kept beneath the root hairs. Soon a host of others shall be unraveled. A lot of people think that leadership is just a boys’ get-together. No! It is an absolution labeled in strong effective visionaries. It is about leading a team and people who are propelled on an upper deck of a feeling that they matter to the leader as much as the leader to them. Dennis Appiah Larbi-Ampofo might be a package of naivity and cropped in hubris-childishness as tantrums paraded about have to say. 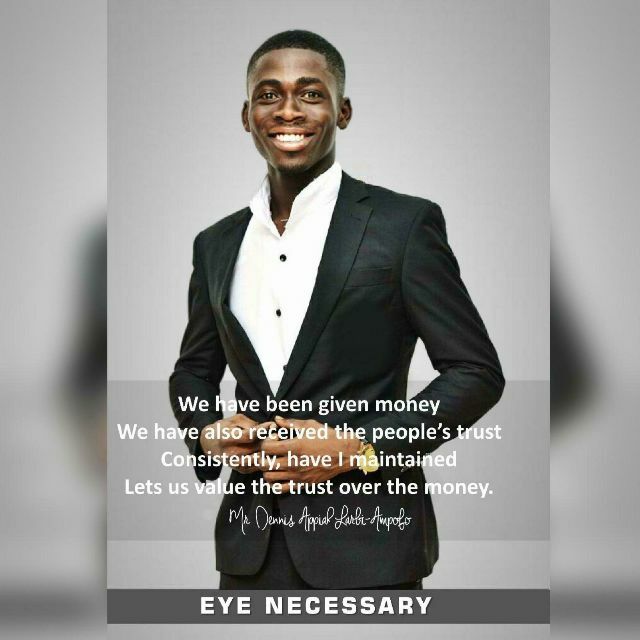 But in the mind of any right thinking student of the University community and Oguaa hall, the spell of this young man still is an inspiration and a leashed light. As humans, we all have our shoestrings and mundane shortcomings, but to look at these successes and still counting achievements by the Dennis led administration, and to throw dust into the eyes of innocent victims is tantamount to unpardonable felony. By effectual leadership, I quote the eminent Pan-Africanist Marcus Garvey whose songs and poetic vibrations leaves Dennis to more thinking. He states, “To him who has the chance, let him mirror the problems of his comrades as his; let him challenge the status quo and work beyond normadics as though tomorrow, just tomorrow, he shall face death”. Dennis Larbi Ampofo is leaving etched traces of indelible marks into the minds of those who have seen him steer the affairs of Oguaa hall in it capacity as it President. It is not by mere anarchist asservations and parochial interest he seeks to contest for the UCC SRC Presidency, however, it is by the threads of pertinent prodigious student leadership that he seeks for this position. To those who have started the stereo calls of mudslinging and deliberate maligning of this attainment to a pomposity of fallacies and fluid debates, the success stories of this great young man has just emanated itself from the reincarnations of illuminations and lifelong enlightenment. The things written therein are not merited egoistic opportunistic outcries or a detailed heartless political jingoism call. They are facts, marked traces in the sands of reckoning which can be verified, if doubt is a leading circumcision in the plains of the mind.